Last week I wrote an overview of the top-level functionality of Maximo 7.6.1. The new release is a significant update that fundamentally changes not just the core functionality, but the entire user experience. 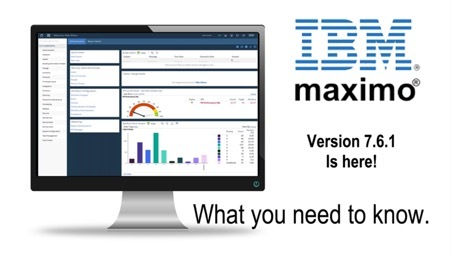 Having now spent some time getting to know the new functionality and interface of 7.6.1, I can tell you that it’s probably the most significant change to IBM Maximo since its creation. And it’s not just a case of slapping some lipstick in the old product. Being re-architected with HTML5 and Web Component technology, the application is now responsive to the device that you are using and delivers an experience that is a whole lot simpler and more intuitive. This is a completely different approach to the classic Maximo development tools that IBM had previously utilised – resulting in completely different results. To help the Maximo community to better understand the changes that IBM has made, and how these could benefit your practice, I am going to take a bit more of a deep-dive into the key areas – starting with the User Interface and the Work Centres. So what’s really changed – why the fuss? For me, what’s most striking is the new user experience. Whilst previous versions of Maximo have been functional, they have been a far cry from the modern wave of user-centric applications that we have now become accustomed to. When I talk about UI, I’m not just talking about a new look and feel, but an new way to interact with Maximo, and how we get things done. 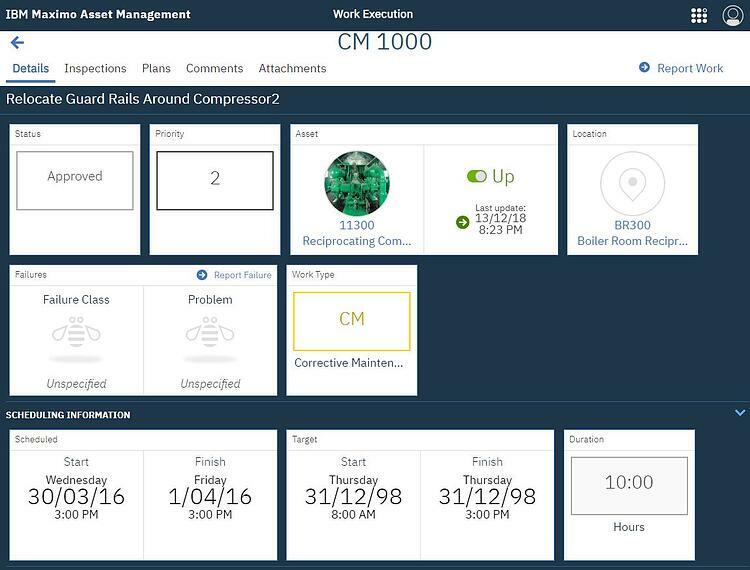 7.6.1 is designed with specific work roles in mind. This is manifested through the Work Centres. The Work Centres for Supervisors offers a lot of usability benefits including expanded panels, toggling between list and cards, follow up work job plans, labour reporting, and new assets and user requests to name but a few. Within 7.6.1 there are five Work Centres, each offering new functionality. The first of these is the Work Technician, this gives you a list of work that you have to do on a daily basis and allows you to plan tomorrow’s tasks or the week ahead.. For me, the experience is quite natural, giving a simple view with a lot of functionality and control. The next key component of the Work Centre is Work Supervision, this allows for work planning and the assigning of work to your teams and field engineers. It allows you to understand the work schedule, who it is assigned to and gives you an easy way to ensure that it's going as planned, and to manage any shifts in priorities – applying course correction and the allocation of additional tasks. The Inspections view allows you to create and manage forms for inspectors to complete inspections quickly and easily. Business Analyst is all about managing KPI’s, it allows you to better understand the data. This view offers you the opportunity to configure queries, set and understand KPI’s and create a range of charts to analyse and visualise your Maximo data. For me, this is very valuable functionality for any Asset Manager, enabling them to ensure that they are tracking towards their goals, and maximising their operational effectiveness. Service requester allows you to capture a service request and gives you the ability to identify and react to a problem quickly and efficiently, reducing a previously complex and time consuming task. This coupled with the licensing allowance for anyone in your organization can raise a Service Request means you make it easier to capture any issues identified in the field quickly and easily. Another feature that I quite like is the addition of meter reading. Where there is a metre associated to any specific asset, you can now report the meter reading in line with the asset data in Maximo. All new, but still familiar. A nice feature of 7.6.1 is that you are not locked into the card view. The usability switch within the Work Centres allows you to toggle between the card view and a list view. The list view looks similar to previous versions work order view, but you also now have the ability to create follow-up work and add in related records. Being able to work between cards and lists, and integrate a lot more data into the Maximo dashboards provides enhanced functionality, a better user experience and a much more encompassing view of your assets overall health. There are also a range of new functionality and productivity improvements that can amplify the usability enhancements. 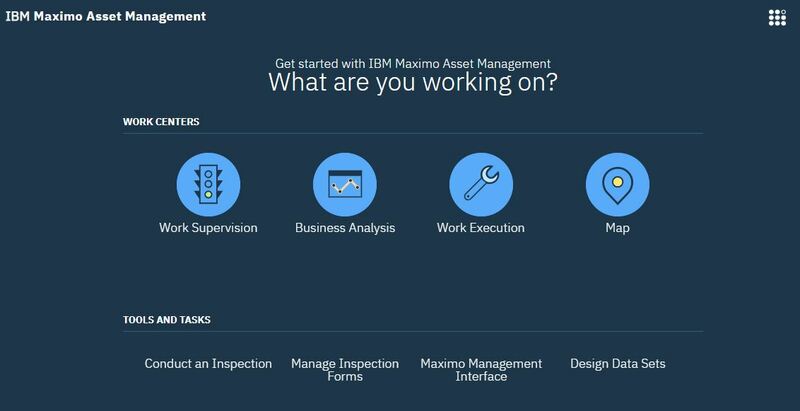 Overall I am very impressed with the direction that IBM have taken Maximo in this release. This update is a breath of fresh air and brings new life to the old reliable platform. Whilst I have been hesitant to recommend upgrading without the need for specific functionality with previous releases, the depth of new features and the new intuitive interface mean that all Asset Managers should get hands-on and evaluate the 7.6.1 release. Certus Solutions can help you evaluate and assess your needs and the level of effort involved in performing your upgrade to Maximo 7.6.1, including making use of the latest functionality in the system and assessing if it fits your business needs. If you are thinking of upgrading to 7.6.1. then talk to us. We are based in Australia and New Zealand, but have the capability to help companies around the Globe. Not only are we leading the field, but our geographical location often makes us far more cost effective to engage than a local supplier. Or if you would just like a little more detail on the benefits of 7.6.1 then download Our Guide to Maximo 7.6.1 – What you need to know. This will be the first in a series of articles exploring the functionality of Maximo 7.6.1, so if you would like me to cover any other areas then please just let me know in the comments below.